A new beginner mountain bike trail, Mystic Park trail head, skills park and pump track will be developed in Bright this year in a major revamp of the old Mystic trail head, which will close when the area is harvested next month. 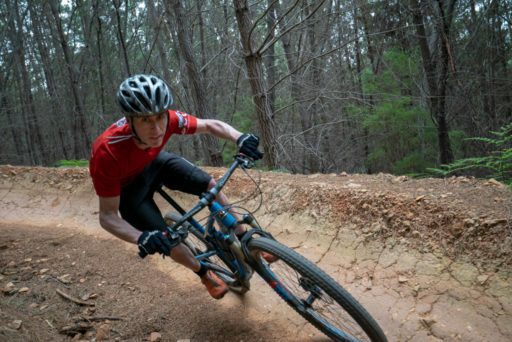 The scheduled harvest of a lower section of Mystic Park will begin on Monday 4 February, with mountain bikers now in the final weeks to farewell the popular beginner mountain bike trail, Pump Track, which will be rebuilt in a new location this year. “Everyone’s been working together for the past 18 months to ensure the best outcome for both the community and HVP Plantations,” said Ms Parker. 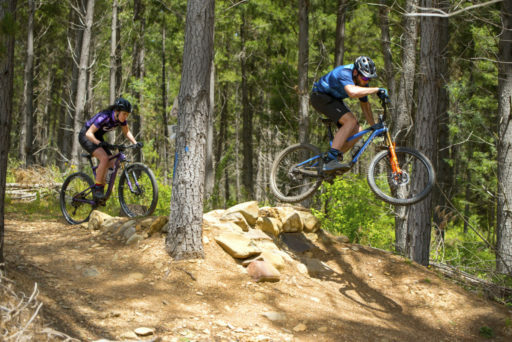 “The opening of Shred Kelly’s Last Stand in December is just one example of how we’re planning ahead to ensure our local plantation industry and mountain bike park can continue to coexist and thrive,” she said. • The current trail head and grass parking area on Mystic Lane in front of Pump Track will be permanently relocated to Coronation Ave on the south-eastern side of Pioneer Park near Dougherty’s Bridge. Temporary measures will be in place until the new trail head is complete. • Riders can use the trail underpass at Dougherty’s Bridge and White Star Rd to enter Mystic. A new climb trail, Up And At ‘Em, located near Five Ways will assist riders cycling up the hill. • Vehicle traffic control measures will be in place in Mystic during the harvest and haulage in February and delays should be expected. • All the trails on the northern side of Huggins Road, including Pump Track, lower Hero Trail, The EU, Ballroom Blitz, Mineshaft Alley, Whodunnit and Twisties, will be closed in February during the harvest. Most of these trails, including Hero, will reopen once the operation is complete and the trails assessed for safety. • All trails on the southern side of the road, such as upper Hero Trail, Shred Kelly’s Last Stand, Up and Down DJ, Elevation, Mystic DH, Buddahood, Tombstone and The Playground etc., will remain open during this period. • For your own safety, and the safety of the work crews, it is essential that no one enters the harvesting zone at any time, and that all signage in the area is adhered to.